At HMP Young Offenders Institute Feltham in London, cell curtains must remain open in daytime or inmates face being disciplined. This rule may sound straightforward, but it presents a real challenge if you’re autistic and hyper-sensitive to light. It's just one of many issues – such as loud noises, overpowering smells and fights – that can arise ‘behind bars’ and which can leave those with autism in a state of anxiety. Like anyone, autistic people can end up on the wrong side of the law. Although the exact number of autistic people in UK prisons is unknown, the proportion is thought to be more than double that in the general population. And this is likely to be an underestimate because many offenders go through the criminal justice system and jail, undiagnosed. This lack of diagnosis is why difficult behaviour may be wrongly interpreted as bad behaviour, and why the needs of these prisoners may go unrecognised. The consequences of under-diagnosis include increased risk of bullying and a higher rate of mental health problems, including suicide. One pioneering project helping to achieve these objectives is being rolled out to prisons in England and Wales. The National Autistic Society’s (NAS) has been working with Feltham to improve autism practice and lower offending rates. This has meant developing and implementing standards across the prison to improve the identification and support of autistic people, an achievement recognised with a Sternberg Clinical Innovation Award. To date, eight prisons and young offender institutions, including Feltham where the programme started in 2012, have signed up to this autism accreditation scheme and another 35 have shown interest. 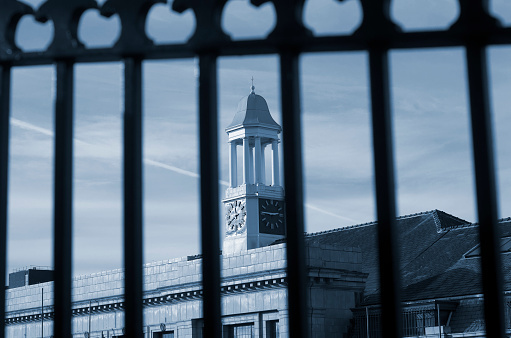 At Feltham, diagnosis takes place within the prison itself and staff are trained to identify signs of autism by thinking differently about a prisoner’s behaviour. This can involve challenging existing stereotypes – such as Dustin Hoffman’s portrayal in the film Rain Man – which can prevent the condition being picked up. Clare Hughes from NAS says prison officers can be skilled at recognising difference but knowing what to do is another matter unless support exists. “It’s key that people understand what autism really is,” says Hughes, NAS criminal justice manager for autism accreditation. “People without associated learning disabilities often don’t get diagnosed because they’ve not had problems at school so aren’t on anyone’s radar.” Yet Hughes points out they’re still vulnerable to bullying and manipulation within prisons. On one hand, the predictability of the daily prison regime and rules-based structure can be reassuring. On the other, changes can occur without warning or explanation such as being sent back to your cell because other prisoners are fighting. For autistic prisoners who follow rules to the letter, that can trigger agitated and confrontational behaviour when others rebel. An example given by Hughes is association time. A maximum of three prisoners are allowed to socialise in an unlocked cell but this can be hard for busy officers to monitor. Says Hughes: “We’ve had (autistic) prisoners who go up to staff and say ‘So-and-so needs to leave now.’ This doesn’t make you popular with staff or fellow inmates.” If an officer knows the prisoner is autistic though, she points out, then they can deal with the situation differently. The same applies with cell searches, a routine occurrence in prisons. In one case, a prisoner’s cell appeared ‘unnaturally tidy’, explains Hughes, and staff became suspicious, believing he was ‘hiding something.’ The consequence was the prisoner became aggressive. “All you’ve control over is that tiny cell – you really value that space. And that was why he reacted.” In the end, staff sought to reassure the prisoner he’d get all his possessions back which meant he no longer lashed out. Adjudications – or ‘nickings’ – where a judge rules on a disciplinary charge, can be an ordeal for prisoners with autism spectrum disorder (ASD). Even a prison officer coughing in these hearings can be an unwelcome distraction. The NAS programme helps raises awareness in these instances so hearings are fair and punishment is used appropriately. The programme has sought to reduce this trauma through simple changes such as allowing autistic prisoners to use communal areas at quieter times. The aim of Dr Lewis’s team is to publish a paper later this year analysing whether incidents involving people with autism within the prison have reduced as a result. “My view is commissioners should insist all trusts work towards autism accreditation when handing out contracts,” she adds. Social communication, interaction and behaviours are crucial to an autism diagnosis. Often autistic prisoners will struggle to understand slang or patois, and their negative comments about someone ‘speaking funny’ can make them a target for abuse. This is why Dr Lewis’ colleague Kim Turner has a vital role as a speech and language therapist working with these prisoners so they can handle such situations. As a mother to an autistic son, prison officer Mo Foster already had some idea how to recognise the signs. So, when NAS introduced their programme at Feltham, Mo was eager to learn more. Since then she has helped simplify literature to ensure prisoners fully understand any disciplinary charges they’re facing, a change which benefits others too. But what happens to prisoners on their release? And what support is available from social care services given current funding issues? Clare Hughes recalls one prisoner who made exceptional progress in jail but struggled to get help on being released on temporary licence. “Services may say the prisoner isn’t eligible for support for example which is sad given the amazing work going on in prison,” she says. For an autism assessment, Dr Lewis follows national guidelines (National Institute for Health and Care Excellence) then contacts carers or relatives for additional information. But once a prisoner turns 18 then it’s a struggle to get adult services to pick them up. To improve this situation, the NAS is working with police and probation services to ensure, for example, that autistic prisoners understand the terms of their release and don’t end up back in prison for breaching them. There is still more work to be done to demonstrate the link between the programme and any reduction in disruptive behaviour. But the letters Dr Lewis, the prison and Clare Hughes receive from grateful families and former prisoners give some indication it is making a difference. And, from prisoner officers to psychologists, what really matters is making a difference so that autistic prisoners are treated fairly and get the support they need.